The Parts & Crafts Portable Storage Set from Stalwart is perfect for keeping small tools and other supplies organized. Includes 4 storage boxes with adjustable compartment dividers to allow a perfect fit for every tool or part! 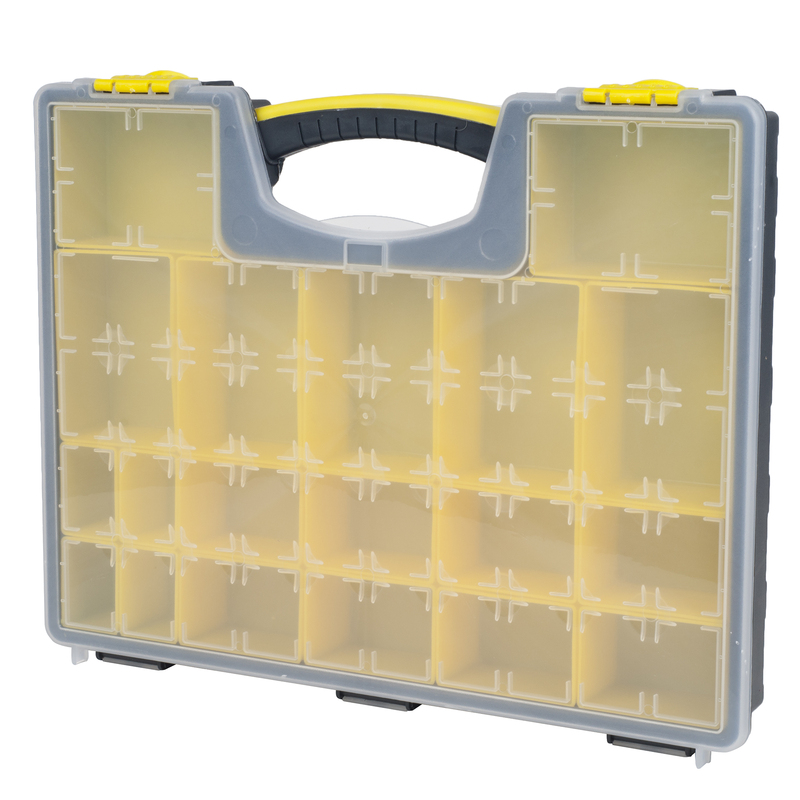 These are incredibly sturdy and durable with high quality latches to ensure the box stays closed and always protects your items. 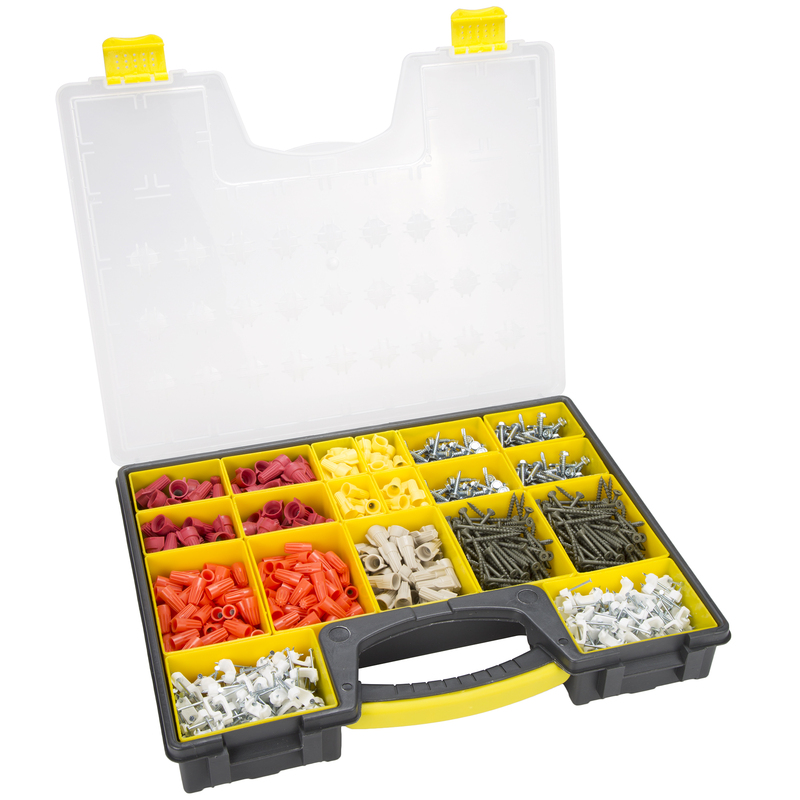 Keep basic tools in the small and medium sized boxes for easy jobs, big tools in the large box for more involved jobs. 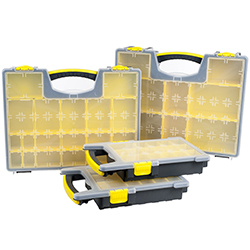 Not just for craftsmen, the 4-in-1 Tool Box Organization Set from Stalwart is perfect for crafters, artists and more! 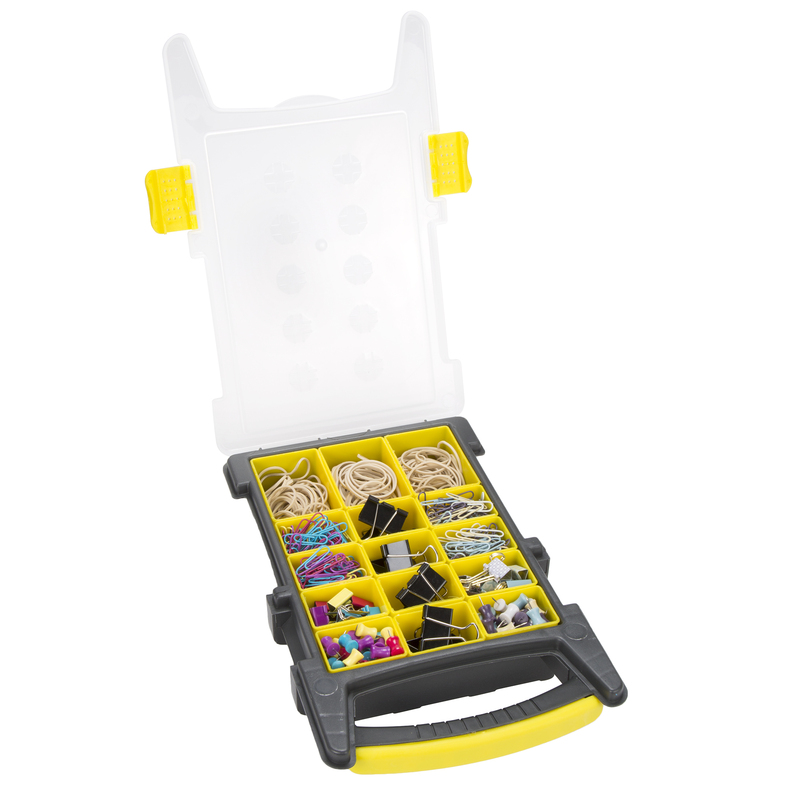 Great for Tools, Crafts and More!